During normal usage of Firefox, you may discover that your Mozilla firefox has suddenly lost your bookmarks. In most cases, the bookmarks are not lost. Losing your bookmark just like you lost all your best friend contacts number. There are a number of reasons that can cause your bookmarks to disappear or suddenly lost from your Mozilla Firefox. The most common reasons is because Mozilla Firefox Web browser is not properly close before power down or restart the computer. Make sure you always close the browser before shutting down or restarting the computer. Another reasons are the bookmarks to disappear problem also be caused by a faulty or misconfigured plugin or extension, or even infected by malware. This article i will help you restore and recover lost or missing bookmarks. Follow these quick steps. 1. Open your Mozilla Firefox. 2. Click on Bookmarks Menu. 3. Click Show All Bookmarks, Library window will appear. 4. On Library window, Click on “Import and Backup”. 5. Go to “Restore” then select on which date you want to restore. 6. When a message appears asking you to confirm the restore, click “Yes”. How to Unblock and Reclassify a Website That Trend Micro Blocked ? Details: 	For more information about this URL or to report it to Trend Micro for reclassification,visit http://reclassify.wrs.trendmicro.com. I have checked the site thoroughly and i cannot find any malware on it. This is very very frustrating? for me as i will lost a lot of visitors who used Trend Micro antivirus on their computers or notebook. Step 1 Go to the Site Safety Center. Step 2 Type the website address that you want to verify, then click Check Now. The website will display a message saying if the address you typed is safe or dangerous. It will also provide you with the address’ category. Step 3 Click Give Feedback if you want to reclassify the website. Step 4 Select the correct rating of the website under the Safety Rating section. Step 5 Select the correct category of the website under the Content section. Step 6 Fill up the fields in the Introduce yourself section. Step 7 Click OK once you are done. You will receive the message below once you have successfully submitted your request. A confirmation message will be sent to the email address you specified. Step 8 Click the link in the email to confirm the feedback. Your request will now be processed. Trend Micro will start processing your request immediately and we will send you the result once it is done. 7. Select Nearest City in your time zone. 8. Enter a password for root user. 9. Click “Use Anyway” to continue. 10. Kindly read every options carefully. You can select Use All Space if not sure. Select encrypting if needed and option to review and modify partition layout. 11. 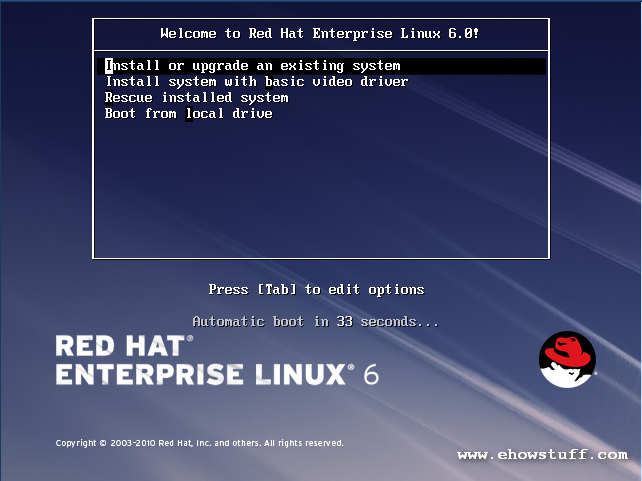 Select Default installation for basic RHEL installation and select customize later. 12. Just Let the installation finish. 14. Installation completed. Login to your RHEL server. How to Fix nslookup, host, dig: -bash: command not found in Linux? If you have above problems in your Linux server, probably you might be missing the package that contains bind utilities. Please note that the host, dig and nslookup are part of the bind utilities. Run this command to install the bind utilities. When you upload a new blogspot template from third party designer to your blogspot and found that the date for your post was “undefined”. This is actually an error, then you have to correct it. This “Undefined” error will appeared in every post instead of the blog post date. 4. Modify the Date Header Format, Archive Index Date Format and Timestamp Format as below. How to Remove the “This site may harm your computer” warning? When you do google search to certain website or blog, google puts the warning flag in its search results for pages which to notify the surfers. Google users were redirected to page that warned: “This site may harm your computer.” The purpose of the warning is to help protect web surfers who are using Google search results. 1. Your site was hacked and this is the most common reason. Someone had modified files in your site and maybe put the injected code. 2. One of your backlink or website’s link is reported as a bad link or maybe having the malicious code. Problematic URLs shows that the websites has the suspected injected code. 1. Find and remove the suspected injected code in the website or blog. 2. After you have removed all harmful code from your site and addressed the underlying vulnerability that caused it to be compromised, you can request a review of your site from google webmaster tool.